Earlier this year at International Yogalayam, we allowed students to enrol by donation in our popular 3 Weeks of Yoga E-course. Well, for a few reasons. Firstly, the economic downturn presented additional financial challenges for many people. Since our primary goal at International Yogalayam is to spread the teachings of yoga far and wide, we adopted this donation-based model to help make our training programs accessible to anyone who wants to engage in them. Equally as important, however, is that teaching yoga by donation provides an opportunity for students to cultivate some fundamental yogic qualities, which are essential for personal growth and transformation. How is Dakshina a Part of Yoga? One of the five precepts (yamas) of yoga is called asteya. This word is often simply translated to mean “non-stealing,” a virtue that must certainly be cultivated in pursuit of the higher life. On another level, it also means to “refrain from taking without giving.” Perhaps more profoundly, asteya calls for us to adopt an “attitude of gratitude” for all that we receive in this life; a humble and genuine willingness to give back whenever, and whatever we can in return. In a broader sense, then, asteya refers to “inner honesty” – a personal integrity that results from a candid examination of the inner workings of our own mind. When we do this, we eventually uncover the true motivations behind our behaviors, our attitudes, and all our justifications for the things we do. For instance, one might say to their teacher (or themselves), “I can only afford to donate a couple dollars for a class today,” but in actuality they really want to save the other five bucks in their pocket for a muffin and a latté after class. One might not give such a “little thing” much thought. But in effect, this behavior is one of the worst forms of stealing – taking (knowledge) from the teacher, not admitting to oneself the real value of what has been given, and not attempting to give with integrity in return. Denial … It’s Not Just a River in Egypt! This process begins with a dishonesty within oneself. The brain is clever and it will work ceaselessly to find good sounding justifications for all of our actions. It will readily exaggerate just how little money we might have, and at the same time conveniently overlook coffee and muffins (for example) as frivolous expenditures. When we are able to overcome these “tricks of the mind,” then we can make an honest admission as to the real value of the gifts that we receive from our teachers. We know that we’ve conquered this selfish tendency once we are able to willfully and happily give what we can truly afford. As yoga teachers, it is not only our job to help our students stretch their bodies, but it is our responsibility to help them expand their minds. The practice of giving dakshina is a valuable opportunity for us to help guide our students further into self-awareness. It presents a good opening to begin to move beyond yoga as just a physical practice, and to tread into the deeper, more profound territory of inner self-examination (svadhyaya). This mental inquiry will help our students to grow as human beings. More importantly, it is an essential process for anyone who truly aspires to make progress along the spiritual path and to one day attain the indescribable, immeasurable, incomparable bliss of YOGA. Can Teaching Yoga by Donation Really Work? 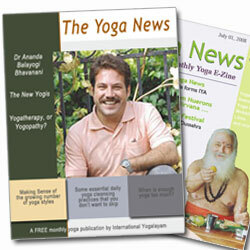 A few years ago, I was asked to teach daily classes by a business that had just lost its yoga instructor. I agreed, on the one condition that payment for the classes be by donation only. The owner was apprehensive, but eventually agreed to the experiment. I put together a short one-page information sheet about the concept of dhakshina, made copies and place them in a basket beside the door, where people could leave a donation on their way out. Word got out, and within only a few days, the classes were full. I did notice, from time to time, the odd student who by-passed the dakshina basket and snuck away without leaving anything after class. But I was also frequently surprised by the generosity of some others. In the end, the total amount donated per class was not much different than what would have been collected if a set fee had been charged per person. That even surprised me a little too! In the end, everybody won. Using the dakshina model enabled a few students to attend the classes who would not otherwise have been able to afford the normal fee; the business also benefited from having a full group of happy yoga students come through their door every morning (they also had a café that served up a nice healthy breakfast to many of them on their way out); and I had the opportunity to introduce students to a new concept in yoga – the idea of not just “paying for something,” but “giving in return,” out of genuine gratitude and appreciation. Whether they were aware of it or not, giving dakshina also gave them an opportunity to look deeper into another side of their selves, and to further cultivate an essential virtue on their long path of growth and evolution in this life. That, to me, is a priceless addition to a yoga classes!